Can You Pour Concrete Over Existing Concrete? If the existing concrete is in good shape structurally, you can pour new concrete over it to freshen it up. Proper prep work is key to success when layering new concrete over old. Cover cracks and minor damage with a fresh layer of concrete. Before attempting to pour over existing concrete, remove stains and loose material. Put on safety glasses and use a hammer and chisel to chip out oil stains or tree sap. If the stain covers a large area, cover it with a sealer to prevent problems with bonding when you pour the new concrete. Remove paint or adhesives using the hammer and chisel, or consider power-washing techniques to remove these materials. Use a spade or similar tool to scrape away loose or spalling concrete, then sweep or spray it away using a broom or hose. Pouring over old concrete requires the same basic forms used with fresh pours. Dig a 6-inch-wide trench around the perimeter of your concrete patio or pad using a small shovel. The trench should be deep enough to accommodate wooden forms, which should extend 1 to 2 inches above the surface of the concrete. Coat the inside of the forms with vegetable oil to make them easier to remove later on. Place stakes around the edges of the concrete to mark the location of control joints before proceeding with the project. The key to successfully pouring concrete over an existing concrete surface is to ensure a successful bond between the two layers. Do this using a commercial bonding agent, which can be painted on or applied with a rag. 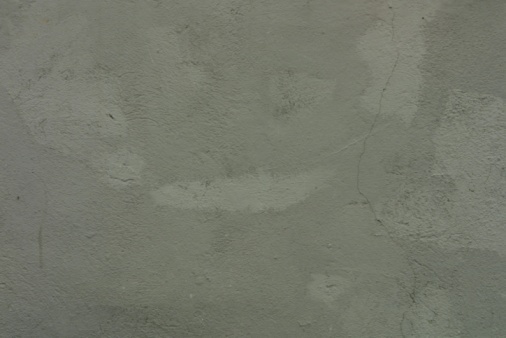 You can improve bond using a simple scratch coat made from very wet, soupy concrete mix. Mix up the concrete and apply it to the surface using a rag or a pair of gloves, making sure to fill every crevice. There is no need to wait for this scratch coat to dry before adding the new concrete top coat. When pouring over old concrete, Sakrete recommends making the mixture stiffer than usual by adding less water. Spread the new concrete over the surface, filling the entire area within the form you created. Smooth the surface using a two-by-four or float, then add texture as desired using tools or a broom. Create control joints in the new concrete using the stakes to help you find the right location. Cover the surface with plastic and allow it to dry for a full week before attempting to use the new concrete. In some cases, it's better to replace damaged concrete than to pour fresh concrete over top. 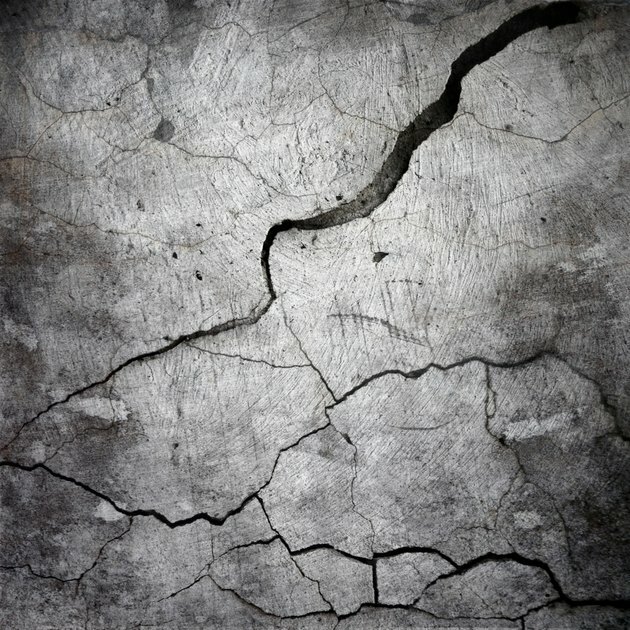 If the concrete has multiple deep cracks extending all the way through its depth, attempting to pour new concrete over old generally is a waste of time. By the same token, if you attempt to clean the surface and the concrete just keeps breaking apart into bits of sand and gravel, replacement is your best option. Can You Skim Coat Concrete Over Chipped Driveway?